Almost half of the world's seabirds have populations that are thought to be in decline, according to a new review. The study, published in Bird Conservation International, found that 28% of species are considered to be in the highest categories of risk. Conservationists are particularly concerned by the albatross family. Threats to the birds include commercial fishing and damage to breeding colonies caused by rats and other invasive species. 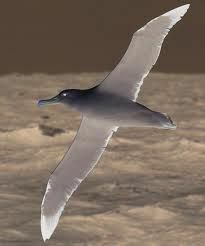 Seabirds make up just a small proportion (3.5%) of the world's bird species. But researchers say they are an important indicator of the health of the oceans. The review, carried out by BirdLife International, found that of 346 species, 47% are known or suspected to be in decline.